SQL Server 2014 Hosting will come with a new in-memory OLTP engine, one built with the company's Heckaton set of technologies, first developed by Microsoft Research. Microsoft has billed Heckaton as an in-memory technology, though unlike other in-memory data stores, such as Oracle's TimesTen, it does not place the entire database into working memory, or RAM, to speed performance. Rather, it selectively moves only the most consulted database tables to memory. What we think makes ASPHostPortal.com so compelling is how deeply integrated all the pieces are. We integrate and centralize everything--from the systems to the control panel software to the process of buying a domain name. For us, that means we can innovate literally everywhere. We've put the guys who develop the software and the admins who watch over the server right next to the 24-hour Technical team, so we all learn from each other. 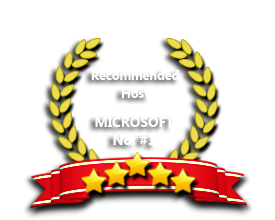 Our Windows Cloud Hosting fully supports SQL Server 2014 hosting. You are more than welcome to try our Free Windows Cloud Hosting before you decide to buy. You can get your Free Cloud Windows hosting account up and running within the next few minutes.